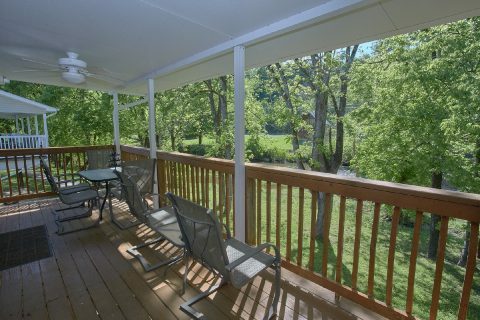 Ready for a Pigeon Forge vacation on the river? 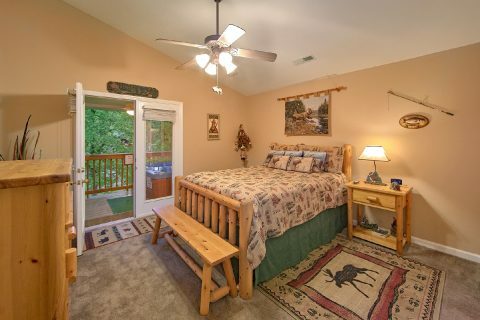 Simply book "Bear Paw Chalet," a lovely 2 bedroom vacation home with a nice spot of the Little Pigeon River in Pigeon Forge, TN! 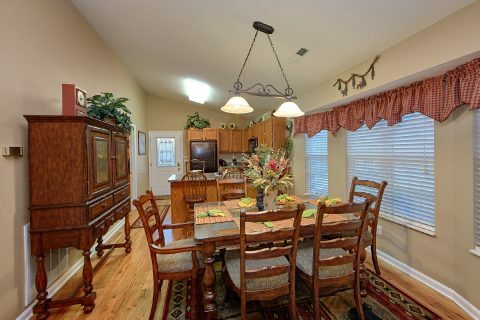 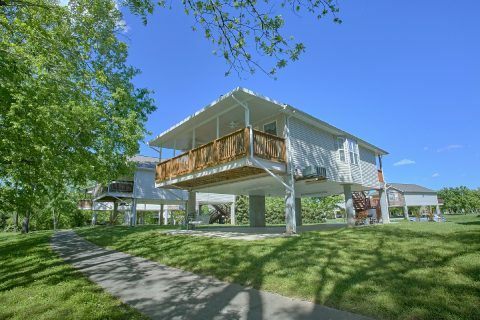 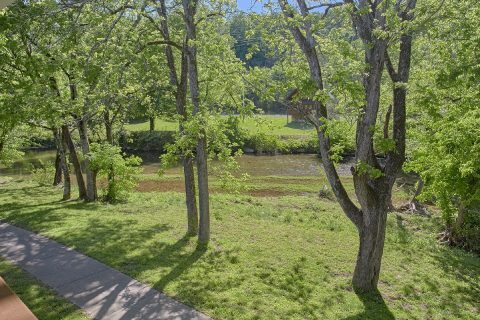 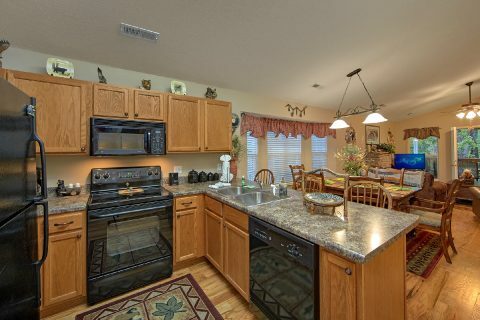 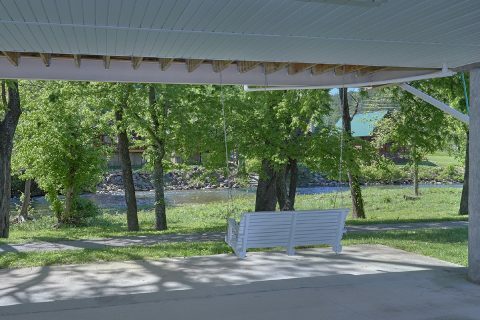 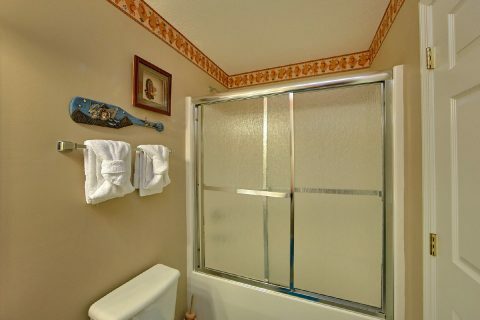 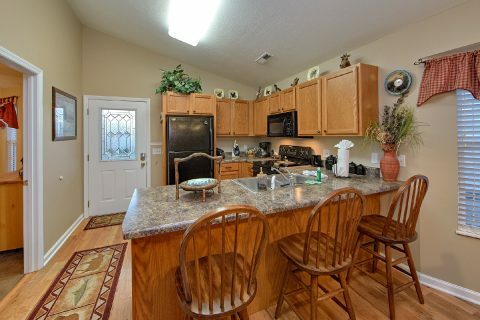 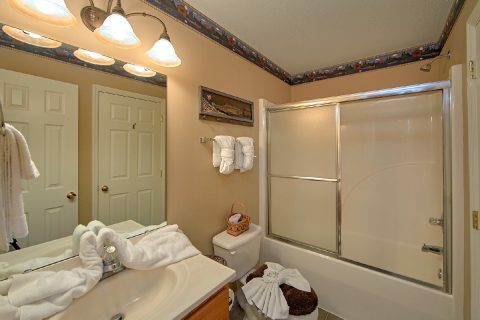 Not only does this rental give you a place to relax by the riverside, but it also keeps you less than a mile from all the excitement on the Pigeon Forge Parkway. 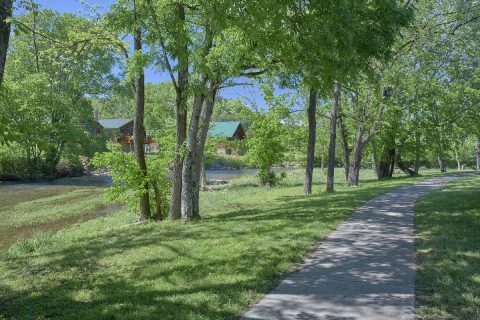 With tons of great attractions like the Hollywood Wax Museum, The Hatfield & McCoy Dinner Show, and The Island, you'll have no trouble finding fun things to do and see during your vacation. 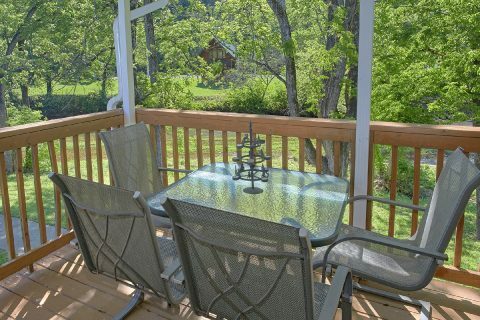 After a great day spent exploring the Smokies, you can look forward to unwinding at your rental on the river. 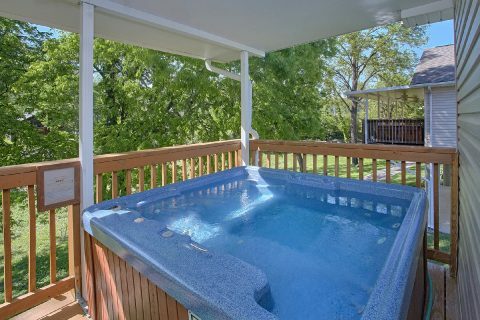 From this vacation home's back deck, you can enjoy a river view while to take a relaxing dip in the hot tub. 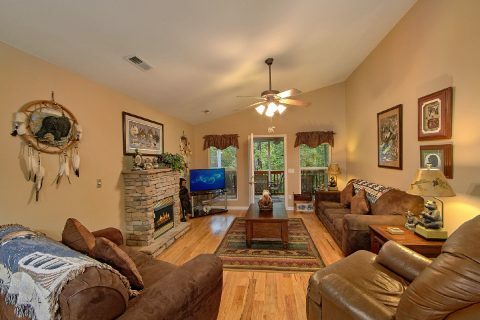 The main living room area of this rental comes complete with a gas fireplace, so it's the perfect place to relax with good company. 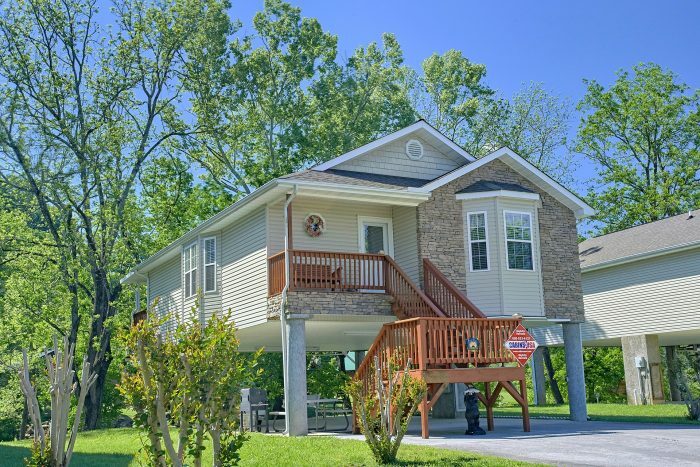 For a fun, summer cookout, you can enjoy grilling out on the charcoal grill near a picnic table and a swing underneath this raised home. 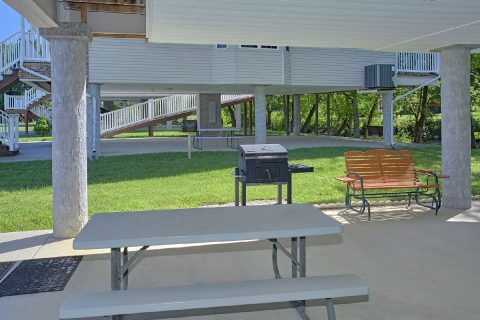 Additionally, "Bear Paw Chalet" is also close to a neighborhood picnic pavilion with a charcoal grill. 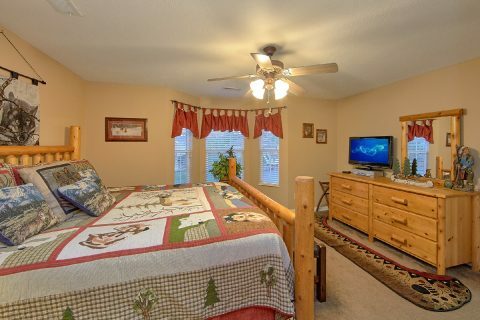 Once it's time to get some rest, you can look forward to staying in one of this rental's 2 private bedrooms that both provide flat-screen televisions. 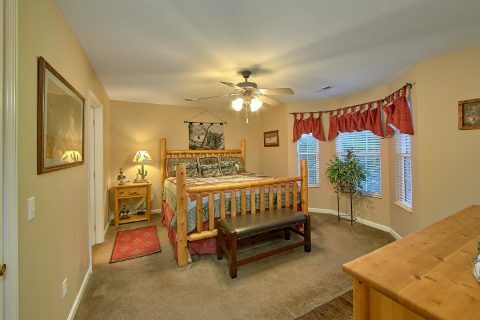 One bedroom boasts a king-size bed, while the other provides a queen-size mattress. 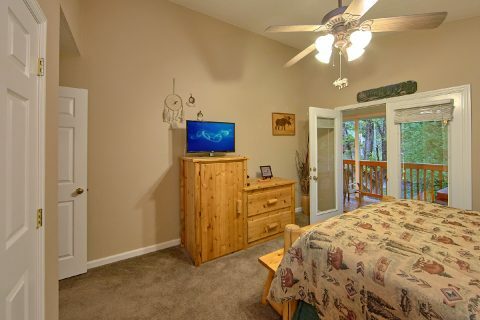 With an additional sleeper sofa, "Bear Paw Chalet" can accommodate up to 6 guests in comfort. 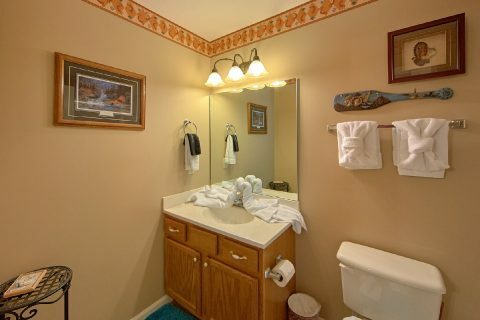 This rental also comes complete with practical features like a covered parking area underneath the house and a washer/dryer for guests to use. Reserve your rental on the river today with Cabins USA to save 15% on your nightly rate for your Pigeon Forge vacation!